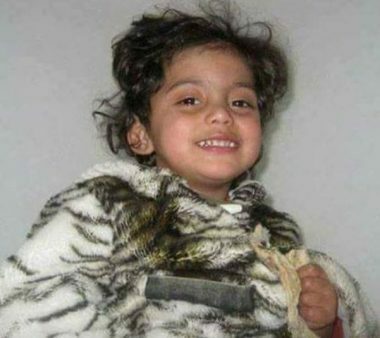 By Al-Haq Center for Applied International Law – Dalal Theeb Lolah, 9, a special needs child, lived in ‘Awarta, south of Nablus city, was diagnosed with cerebral atrophy at the age of three, and has suffered breathing problems since. On 29 December 2017 at approximately 3:00 pm, Dalal started having shortness of breath. This recurring condition requires her family to immediately transfer her to a hospital in Nablus city. Accordingly, her mother, grandmother, father, and uncle immediately left the house with her, and seven minutes later, the family arrived to the checkpoint at the northern entrance of ‘Awarta. An Israeli military jeep had blocked the road and five fully armed soldiers were standing near the gate at the checkpoint which was shut. Several cars had attempted to enter the village, but they were unable to, due to the closing of the gate. Dalal’s uncle, Yasser As’ad Lolah, 41, who was driving the car, decided to approach the soldiers. The soldiers immediately pointed their machine guns at the car, which was approximately 15 meters away. Yasser responded by waving at the soldiers to approach the car. Yasser explained to one of the soldiers Dalal’s condition and the need to transfer her to hospital immediately. The soldier responded that they were not allowed to pass through the gate. The family repeatedly pleaded with the soldiers to no avail. Approximately half an hour later, Yasser decided to try the Huwwara checkpoint at the southern entrance of ‘Awarta. At Huwwara, confrontations had erupted between the IOF and Palestinian youth. There was tear gas and congested traffic. Tens of cars had lined up to try and cross the checkpoint into Nablus. However, Israeli military jeeps had blocked the road about 50 meters from the checkpoint. Approximately an hour later, the family managed to cross Huwwara checkpoint and headed towards the Rafidia Governmental Hospital in Nablus. By then, Dalal had lost consciousness and white foam was coming out of her mouth. Dalal was unable to have timely access to medical assistance due to Israel’s establishment of checkpoints and road closures. While restrictions on freedom of movement impact all Palestinians in the occupied Palestinian territories (OPT0, in Dalal’s case, her rights to the highest attainable standard of health and her right to life were both violated. As the Occupying Power, Israel is obliged to respect, protect, and fulfil the right of the protected population in its jurisdiction to the highest attainable standard of health. Israel is required to facilitate access to all medical service and attention in time of sickness. It instead imposes discriminatory policies and practices on the ground against Palestinians, which limit and often deny access to medical care and health facilities.7 Indeed, Israel has repeatedly denied Palestinians, including children and adolescents, from accessing health care, resulting in their death.